VEGAN CHILLE RELLENOS! OMG….Chile Lovers – Get Ready. When I lived in Albuquerque, one of my most FAVORITE meals was Chile Rellenos – spicy Hatch Green Chiles stuffed with Pepper jack cheese, rolled in egg batter, and then pan fried. 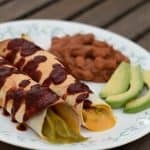 MY version of Vegan Chile Rellenos combines that great chile/cheese flavor in a tortilla rather than egg, and then baked to a golden brown to add just a little crunch, topped off with my Easy Red Chile Sauce. Now let me just say – this is NOT a hot and spicy dish…..at least this version anyway. If you were to get this same dish in Albuquerque? It would be a “Oh my heck – you better believe it’d be hot – is my tongue still attached – grab the fire extinguisher now!” kind of hot. But their Chiles are practically grown in their back yard…..so it’s to be expected. Where I live in Oregon? All I can get are those little cans of Ortega Green Chiles…..and honestly I’ve had CARROTS that were hotter. So unless you live in New Mexico or are using fresh Hatch Chiles – NO WORRIES! And The Red Chile Sauce? 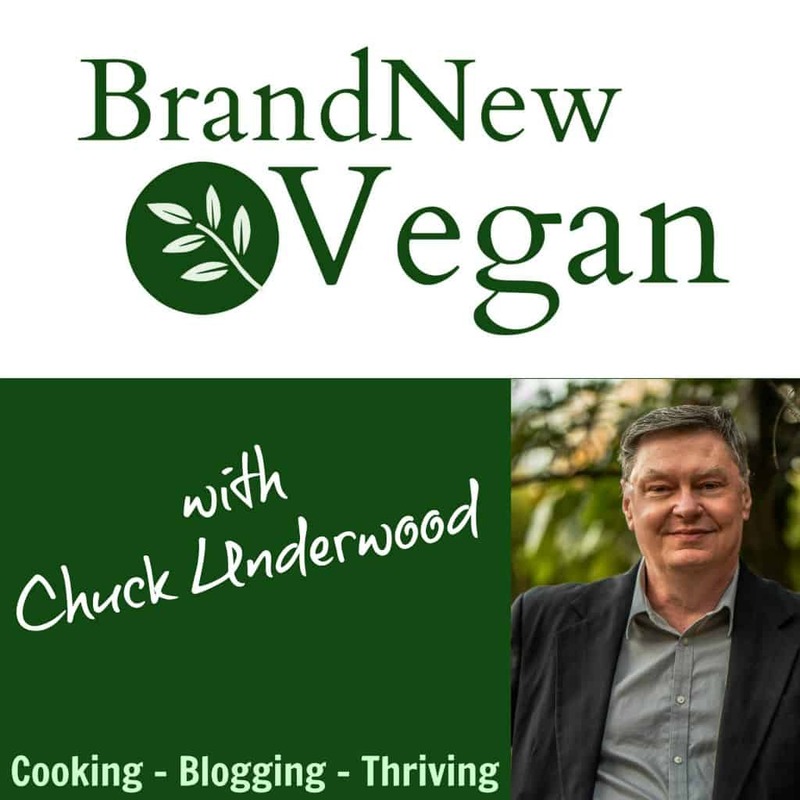 I use those bags of dried Red Chile Pods you can buy at Wal-Mart, and even though they say New Mexico Chile – there’s really not that much heat. That awesome, earthy, you can only get it from New Mexico, kind of Chile flavor that I and many others love so much. So again – don’t worry about the heat. Unless you toss in a Jalapeño or a few Chipotle Peppers which I’ve been know to do – shhh…don’t tell the wife. 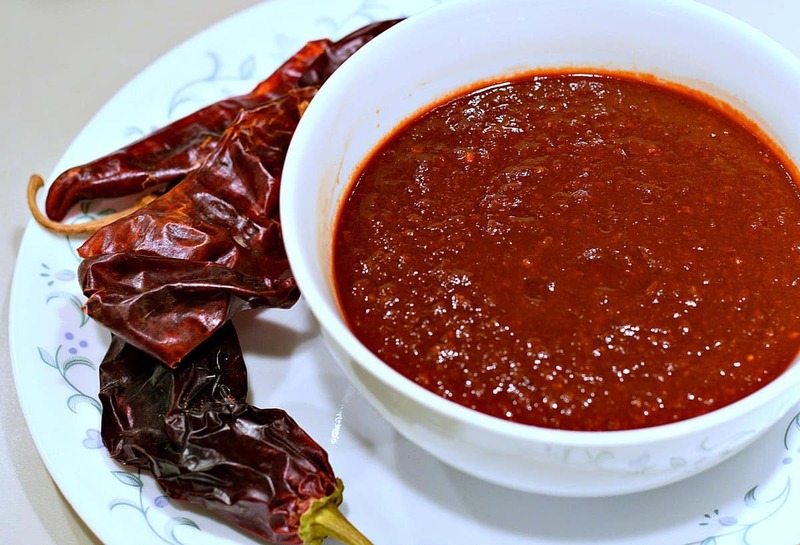 If you’ve never had New Mexico Red Chile Sauce – I highly recommend you try it at least once. Its like nothing you’ve ever tasted. This is not so much of a recipe than it is a Recipe Idea…. That’s the entire ingredient list….really. And of course the cheese is made from carrots and potatoes…..so this is not only TASTY, it’s fat-free & healthy too. Warm up some tortillas (corn or flour) until soft and pliable, lay a chile or two down the center of each tortilla, cover with cheese sauce and roll. I used a little dab of the sauce to seal the tortillas too. Bake on a parchment lined baking sheet for 20 minutes at 400° or until golden brown. Garnish with NM Red Chile Sauce, shredded lettuce, chopped tomatoes, avocado, and maybe a dollop of vegan sour cream. Now grab a Margarita, cue the Mariachi Band, and get ready for a taste of New Mexico! OMG....Chile Lovers - get ready. VEGAN CHILLE RELLENOS! 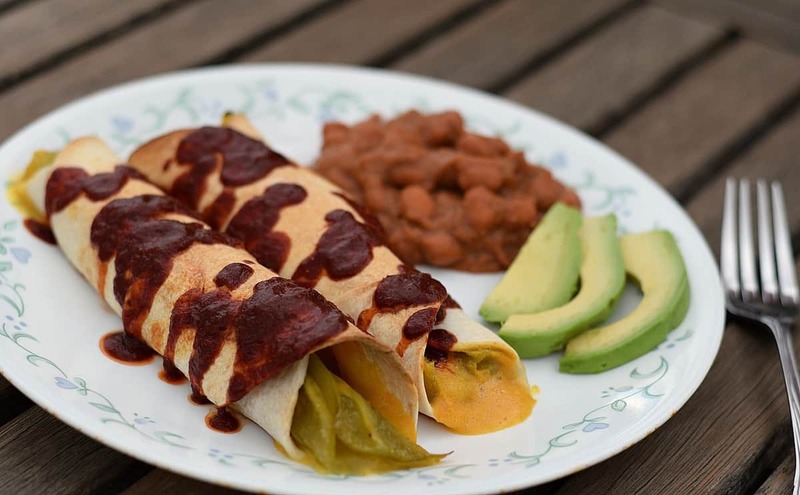 Baked tortillas stuffed with Whole Green Chiles, Vegan Cheese, and garnished with Red Chile Sauce. Prep time assumes the Chile and Cheese Sauce are already made. Otherwise count on about 30 minutes each for each recipe. Shredded lettuce, chopped tomatoes, and Vegan Sour Cream also make a great garnish. 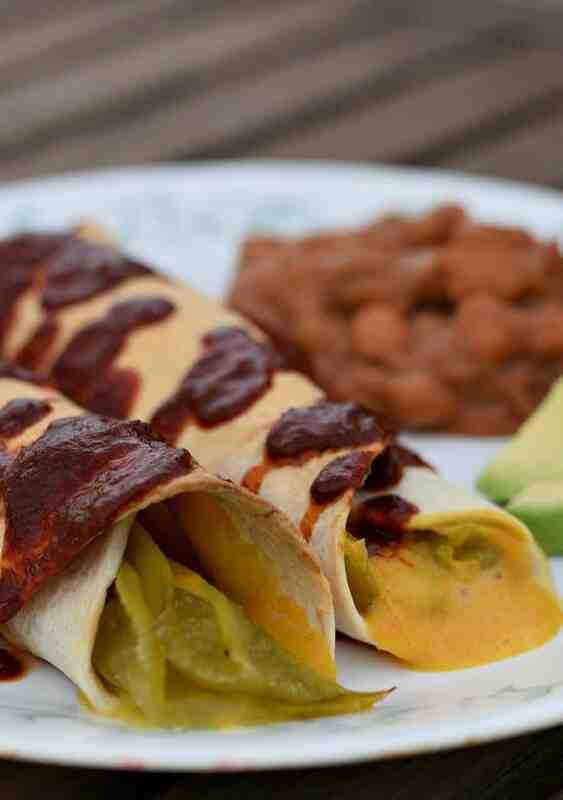 Serve with Refried Beans and Rice for an authentic Mexican meal.